Below you will find an interesting Rhode Island Medical Malpractice Decision from the Rhode Island Superior Court. 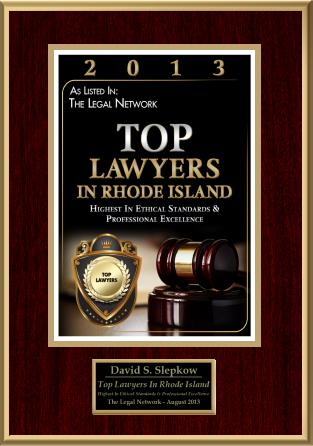 This case was provided by Rhode Island Personal Injury Lawyer, David Slepkow 401-437-1100. Read the Case Here: LINDA J. SPAIGHT v. BAHRAM SHAH-HOSSEINI, M.D., et al. SAVAGE, J. This action concerns alleged violations of the doctrine of informed consent and medical negligence in connection with laparoscopic surgery performed on plaintiff, Linda J. Spaight on March 23, 2004. The laparoscopic pelviscopy was intended to be a simple exploratory procedure to remove suspected endometriosis, but it resulted in the unanticipated removal of her ovary and fallopian tube, unintended perforation of her ureter, and four subsequent surgeries to repair the ureter and relieve conditions associated with urine draining into her body cavity. with respect to plaintiffs’ claims of negligence against them. For the reasons set forth in this Decision, this Court grants judgment as a matter of law for plaintiffs on their claim of lack of informed consent in the nature of a battery against Dr. Barry Shah and, alternatively, a new trial as to that claim. This Court denies plaintiffs’ new trial motions as to their claims of medical negligence against all defendants. As a result of its decisions on these motions, the Court need not reach defendants’ motions for judgment as a matter of law. Plaintiff, Linda Spaight had been suffering from abdominal pain. Dr. Barry Shah initially suggested that she might be suffering from endometriosis and recommended a course of drug treatment to determine if that would relieve her symptoms. Endometriosis is a benign condition where the lining of the uterus escapes the uterus. It can involve the inner organs of the pelvis, including the ovaries, as well as the area behind the uterus. Endometriosis can cause severe pelvic pain. Ms. Spaight was reluctant to take medication for a condition that had not yet been diagnosed. At that point, Dr. Barry Shah recommended laparoscopic surgery, specifically an operative pelviscopy, to determine if she had endometriosis and to surgically remove any endometriosis that might be found. During the course of the laparoscopic pelviscopy on March 23, 2004, Dr. Barry Shah found extensive endometriosis and undertook surgery to remove it. He further found that the endometriosis involved plaintiff’s left ovary and fallopian tube. According to his testimony, the ovary was completely diseased and had embedded within it a large endometrial cyst. Dr. Barry Shah was concerned that the ovary might be the source of plaintiff’s abdominal pain that the surgery was designed, if possible, to correct. He therefore proceeded to remove the ovary and tube, a procedure called a salpingo-oophorectomy. In the process of removing the diseased left ovary, he used a tripolar electrocautery device to grasp, cut and cauterize the plaintiff’s infundibular pelvic ligament which held the ovary in place. At the time he used the device, Dr. Barry Shah could not visualize the ureter nor did he know how close he was to it. Plaintiffs claim that the procedure to remove the ovary generated heat that caused a devascular injury to Ms. Spaight’s ureter and two perforations of it that, in turn, caused urine to drain into plaintiff’s abdominal cavity. These injuries did not appear until days after the surgery. Ms. Spaight was required to endure four subsequent surgeries and extensive hospitalization as a result of these injuries. At trial, plaintiffs asserted two claims against Dr. Barry Shah for violation of the doctrine of informed consent. They first claimed a lack of informed consent in the nature of a battery, arguing that Ms. Spaight never consented to the removal of her left ovary and tube nor was ever apprised by Dr. Barry Shah of the possibility that those organs would be removed. Plaintiffs further asserted a violation of the more traditional negligence-based doctrine of informed consent, claiming that Dr. Barry Shah did not inform Ms. Spaight of the risk of injury to her ureter. Plaintiffs also asserted claims of negligence against all of the defendants. They contended that Dr. Barry Shah was negligent in removing Ms. Spaight’s ovary because he never visualized the ureter—a requirement under the standard of care—before using the electrocautery device to cauterize her infundibular pelvic ligament. They also asserted a claim for medical negligence against Dr. Barry Shah’s then-partner, defendant, Dr. Reza Shah-Hosseini, claiming that he either was in the operating room assisting in the surgery and failed to ensure the visualization of the ureter or that he should have been assisting in the surgery and failed to do so. Dr. Jennifer Botte, a resident, assisted Dr. Barry Shah with the surgery and in fact abandoned a direct role when the procedure became complicated. She, too, was sued for medical negligence for failing to ensure proper performance of the surgery. Women and Infants Hospital of Rhode Island was sued vicariously as Dr. Botte’s employer. counts asserted against them in Counts II and III of that complaint, respectively.1 As to plaintiffs’ negligence-based claim of lack of informed consent against Dr. Barry Shah, he argued that plaintiffs failed to establish that Ms. Spaight was unaware of the adverse consequences of the medical procedure. Dr. Barry Shah contended that Ms. Spaight signed a consent form that indicated the possibility of risk to “other organs” and that she testified inconsistently with respect to whether information regarding the specific risk to her ureter, if provided, would have altered her decision to proceed with the laparoscopic surgery. He further contended that Ms. Spaight failed to submit evidence of the likelihood of injury to her ureter and therefore failed to establish the materiality of the risk. As to medical negligence, the defendant physicians contended that plaintiffs failed to establish causation, as they could not prove that an alternative surgical process would have eliminated the risk to Ms. Spaight’s ureter. Defendants noted that Dr. Barbieri testified that had Dr. Barry Shah removed only the endometrial cysts and not the entire ovary, the risk of heat injury would have been reduced but not eliminated. Finally, Dr. Barry Shah argued that plaintiffs’ expert relied on a pathology report that was not available to the physicians during the surgery. 1 Plaintiffs and the defendant physicians also agreed to dismissal of Count IX of plaintiffs’ second amended complaint which stated causes of action against the defendant physicians for res ipsa loquitur. Hospital was vicariously liable for the negligence of Dr. Barry Shah, Dr. Reza Shah-Hosseini and Dr. Botte. In support of its motion as to the portion of Count V relating to Dr. Botte, it joined in her motion for judgment as a matter of law as to negligence. This Court granted judgment as a matter of law in favor of Women and Infants Hospital as to Counts VI-X of plaintiffs’ second amended complaint as well as the portions of Count V asserting claims for vicarious liability against the Hospital for the negligence of Dr. Barry Shah and Dr. Reza Shah-Hosseini. It reserved judgment on the balance of the defendants’ motions. The Court then submitted the case to the jury on the issues of lack of informed consent by Dr. Barry Shah (Count IV) and negligence of Dr. Barry Shah, Dr. Reza Shah-Hosseini and Dr. Botte (Counts I, II and III). It was agreed that judgment as to the portion of Count V for vicarious liability against Women and Infants Hospital for the negligence of Dr. Botte would enter consistent with the jury’s verdict or any judgment as to the negligence claim against her in Count III. In instructing the jury on the law of informed consent, the Court did not distinguish, nor did the parties ask it to distinguish, between plaintiffs’ informed consent claim in the nature of a battery and their negligence-based claim of informed consent. It likewise did not instruct specifically on the differing law applicable to those claims. It instead included instructions relevant to both of plaintiffs’ informed consent claims under a single broad informed consent instruction and submitted a single interrogatory to the jury on the verdict form which simply asked it to determine if Dr. Barry Shah failed to obtain Ms. Spaight’s informed consent. to physicians having a duty to “obtain” informed consent—suggesting instead that the duty is to convey information. He also asked the Court to add an instruction that a physician has no obligation to disclose risks likely to be known by the average patient. He further asked that the Court instruct that plaintiff must prove that if she had been informed of the material risks and alternatives to treatment, she would not have consented to the procedure in question (even though those two latter proposed instructions are not the law as to plaintiffs’ claim of lack of informed consent in the nature of a battery). consent to removal of ovary” and/or “failure to disclose risk of injury to ureter.” No party objected to the fact or content of this reinstruction or the revised verdict form. The reinstruction prompted plaintiffs to file a motion for judgment as a matter of law on their battery-based informed consent claim before resubmission of the case to the jury. This Court reserved decision on that motion. After further deliberations, the jury rendered a verdict in favor of all of the defendants as to all claims. Following entry of judgment, plaintiffs and defendants timely renewed their motions for judgment as a matter of law on which this Court previously had reserved decision. In addition, and in part in the alternative, plaintiffs seek a new trial as to their battery-based informed consent claim. 282, 287 (R.I. 1999). If pertinent factual issues remain unresolved, however, the Rule 50 motion should be denied. Malinowski, 792 A.2d at 55. Under Rule 50, motions for judgment as a matter of law may be made at any time before submission of the case to the jury. In this case, plaintiffs made their motion for judgment as a matter of law with respect to their battery-based informed consent claim after this Court submitted the case to the jury the first time but before resubmission of the case to the jury after reinstruction. As defendant Dr. Barry Shah has not pressed an objection to this motion on grounds of lack of timeliness, and as plaintiffs filed their motion before resubmission of the case to the jury under the Court’s revised charge, this Court will deem this motion to have been filed timely and proceed to address it on its merits. Plaintiffs claim that this Court should enter judgment as a matter of law against Dr. Barry Shah under Rule 50 of the Rhode Island Rules of Civil Procedure as to their informed consent claim. Plaintiffs argue that there is no dispute that Ms. Spaight did not consent to the removal of her left ovary and fallopian tube as part of the laparoscopic procedure performed on her by Dr. Barry Shah on March 23, 2004. Absent that consent, they argue that the salpingo-oophorectomy constituted surgery in excess of the consent she gave, in the nature of a battery. Plaintiffs contend that the surgery in excess of Ms. Spaight’s consent entitles her to all damages that flowed therefrom: the wrongful removal of the ovary and tube themselves; the injury to her ureter during the surgery; and all consequential damages that resulted from that injury, including four subsequent surgeries and extensive hospitalization. Defendant Dr. Barry Shah responds that Ms. Spaight consented not only to the operative pelviscopy but to all “indicated surgery” resulting from that procedure, which included the removal of her diseased ovary and tube. He contends that the removal of the ovary and tube was indicated, as the surgery was designed to alleviate her abdominal pain. He found that the ovary was completely diseased and had embedded within it a large cyst. Dr. Barry Shah believed, therefore, that he had the patient’s consent to remove the ovary and tube, as the ovary may have been the cause of her pain. Every human being of adult years and sound mind has a right to determine what shall be done with his own body and a surgeon who performs an operation without his patient’s consent commits an assault for which he is liable in damages. This is true except in cases of emergency where the patient is unconscious and where it is necessary to operate before consent can be obtained. 211 N.Y. 125, 129-30, 105 N.E. 92, 93 (1914). The doctrine is thus rooted in the principle of self-determination, a right to bodily autonomy, and control over medical decisions. Miller v. Rhode Island Hosp., 625 A.2d 778, 783 (R.I. 1993). 2 To establish a violation of the negligence-based doctrine of informed consent, the Court outlined a five-part test, requiring plaintiff to prove, by a preponderance of the evidence, that: (1) the defendant’s disclosure to the plaintiff regarding a particular risk was unreasonably inadequate; (2) the undisclosed risk was a known material risk; (3) the undisclosed known material risk did in fact occur; (4) the plaintiff would not have undergone the procedure if advised of that risk; and (5) the specific injury or harm of which the plaintiff complains was the proximate result of the occurrence of that risk. Wilkinson v. Vesey, 110 R.I. 606, 627, 295 A.2d 676, 689 (1972); see Kenney v. Wepman, 753 A.2d 924, 926 (R.I. 2000); Lauro v. Knowles, 739 A.2d 1183, 1186 (R.I. 1999). treat a patient, is known today as the doctrine of informed consent. See Lauro v. Knowles, 785 A.2d 1140, 1141-1142 (R.I. 2001). Initially, the courts split over the question of whether an alleged failure of a physician to disclose adequately the risks and alternatives of a proposed treatment should be characterized as a battery action or an action grounded in negligence for violation of the doctrine of informed consent. Cf. Bang v. Charles T. Miller Hospital, 251 Minn. 427, 88 N.W.2d 186 (1958) and Gray v. Grunnagle, 423 Pa. 144, 223 A.2d 663 (1966) (analyzing physician’s failure to adequately disclose risks and options for treatment as an action in assault) with Mallet v. Pirkey, 171 Colo. 271, 466 P.2d 466 (1970) and Peterson v. Shields, 652 S.W.2d 929 (Tex. 1983) (analyzing physician’s failure to adequately disclose risks and options for treatment as an action in negligence for violation of the doctrine of informed consent). 3 In Nolan, the Supreme Court recognized a battery action where a patient consented to surgery to strengthen the ligaments supporting the spleen, but the physician then removed the spleen without the patient’s consent. 4 See, e.g., Jaskoviak v. Gruver, 638 N.W.2d 1, 14 (N.D. 2002); Backlund v. Univ. of Wash., 137 Wa.2d 651, 665 (Wash. 1999); Shine v. Vega, 429 Mass. 456, 463 (Mass. 1999); Largey v. Rothman, 110 N.J. 204, 212 (N.J. 1988); Phillips v. Hull, 516 So. 2d 488, 493 (Miss. 1987); Wheeldon v. Madison, 374 N.W.2d 367, 374 (S.D. 1985); McMahon v. Finlayson, 36 Mass. App. Ct. 371, 372-373 (Mass. App. Ct. 1994); Vergie M. Lapelosa, Inc. v. Cruze, 44 Md. App. 202, 211 (Md. Ct. Spec. App. 1979); (all citing Wilkinson to support propositions that follow the majority view on informed consent law). See also Bundrick v. Stewart, 114 P.3d 1204 (Wash. App. 2005) (holding that an action for total lack of consent sounds in battery); Ashcraft v. King, 228 Cal. App. 3d 604 (1991) (battery action where plaintiff agreed to surgery on condition that blood donated would be from her family, but during surgery, the hospital used its general blood supply and plaintiff acquired HIV allegedly from transfused blood); Mink v. University of Chicago, 460 F. Supp. 713 (D. Ill. 1978) (battery action where plaintiffs were completely unaware they were given doses of DES as part of a double blind study); Lane v. Anderson, 345 Ill. App. 3d 256 (2004) (finding that a plaintiff can recover in a medical battery case by establishing: (1) a total lack of consent to the procedure; (2) the treatment was contrary to the patient’s will; or (3) the treatment was at substantial variance with the consent granted). 686. It narrowed medical battery actions—first recognized in Nolan v. Kechijian, 75 R.I. 165, 64 A.2d 866 (1944)3—to cases where the medical procedure is “completely unauthorized.” Id. The Wilkinson decision remains at the forefront of informed consent law, as the majority of jurisdictions have characterized a failure to disclose material risks and alternatives to treatment as a negligence action, while permitting the application of battery law to remain in the more limited category of cases where the procedure was unauthorized.4 In Blanchard v. Kellum, for example, the court recognized the “distinction between: (1) cases in which a doctor performs an unauthorized procedure; and (2) cases in which the procedure is authorized but the patient claims that the physician failed to inform the patient of any or all the risks inherent in the procedure.” 975 S.W.2d 522, 524 (Tenn. 1998). The court used a “simple inquiry” and found that if the patient was not aware that the “doctor was going to perform the procedure,” nor did the patient authorize the procedure, the plaintiff had a cause of action for medical battery. Id. 5 The Illinois Court of Appeals later overturned Green v. Hussey in Casey v. Penn, 45 Ill. App. 3d 1068, 1069 (1977), but on different grounds. Casey held that a plaintiff in an action for negligent post-operative treatment must prove by “affirmative evidence, not necessarily expert opinion testimony” that defendant’s negligent treatment was a proximate cause of plaintiff’s injury. Id. beforehand, it does not make sense to apply a test requiring a plaintiff to prove that the physician had a duty to disclose a “material risk” of that uncontemplated procedure. In Mink v. University of Chicago, for example, the plaintiff filed a claim on behalf of thousands of women who were given diethylstilbestrol (DES) as part of a double blind study. 460 F. Supp. 713 (D. Ill. 1978). The women were not told that they were part of the experiment nor were they told that they were taking DES as part of their prenatal care. Id. at 715. The defendants filed a motion to dismiss the plaintiffs’ complaint for battery on the grounds that the action was a “lack of informed consent claim” that sounded in negligence rather than a battery. Id. at 716. The court held that although Illinois courts have adopted the modern approach to “true informed consent cases,” they have not “overruled earlier cases which recognize a cause of action in battery” for procedures performed without a patient’s consent. Id. at 717 (citing Pratt v. Davis, 224 Ill. 300, 79 N.E. 562 (1906); Church v. Adler, 350 Ill.App. 471, 113 N.E.2d 327 (1953)). The court acknowledged the two separate theories and explained that a battery action may “still be the proper cause of action in certain situations . . . .” Id. 6 See Lugenbuhl v. Dowling, 701 So. 2d 447 (La. 1997); Fortier v. Dehne, 804 So. 2d 819 (La. App. 4th Cir. 2001). 7 The many jurisdictions recognizing medical battery include California, North Carolina, Wisconsin, Minnesota, Montana, Oklahoma, Pennsylvania, and Tennessee. See, e.g., Duttry v. Patterson, 565 Pa. 130, 771 A.2d 1255 (2001); Blanchard v. Kellum, 975 S.W.2d 522 (Tenn. 1988); Bang v. Charles T. Miller Hospital, 251 Minn. 427, 88 N.W.2d 186 (1958); Suskey v. Davidoff, 2 Wis. 2d 503, 87 N.W. Cal. 2d 306 (1958); Lewis v. Shaver, 236 N.C. 510, 73 S.E.2d 320 (1952); Bakewell v. Kahle, 125 Mont. 89, 232 P.2d 127 (1951); Cline v. Lund, 31 Cal. App. 3d 755, 107 Cal. Reptr. 629 (Cal. 1st Dist. 1973). the doctor should have revealed certain risks necessary to make the consent an informed one.” Id. at 716; see Trogun v. Fruchtman, 58 Wis. 2d 569, 598-599 (1973) (reasoning that battery theory of liability is improper in situations where the alleged misconduct on the part of the physician involves a failure to disclose risks of treatment, but may be appropriate “where an organ” other than that consented to was removed); see also Samoilov v. Raz, 536 A.2d 275, 278-279 (N.J. Super. 1987) (holding that battery theory of liability is appropriate when the performed procedure was “substantially different” from that to which consented was given). 8 While the Supreme Court of Louisiana later distinguished the Pizzalotto decision, see Lugenbuhl v. Dowling, 701 So.2d 447 (La. 1997), this Court finds the court’s reasoning in Pizzalotto to be consistent with Wilkinson and the majority of jurisdictions. 9 The Wilkinson test is more appropriate in cases like Flanagan v. Wesselhoeft, where the plaintiffs consented to the surgery at issue but asserted that the physician never informed them that their daughter might suffer nerve damage as a result of the cervical node excision. 765 A.2d 1203 (R.I. 2001). In the case at bar, in contrast, it is not a matter of the physician failing to inform the plaintiff of a risk of a consented-to procedure, but rather the alleged performance of a procedure, removal of an ovary and tube, that was never considered by either party before the surgery. this cause of action and tried by implication, with the consent of the parties, as reflected in the evidence, the parties’ arguments to the jury, and this Court’s charge. whether there was a legally sufficient evidentiary basis for a reasonable jury to find that the defendant did not commit a battery in removing plaintiff’s ovary and tube. In Rhode Island, the current standard for medical battery claims dates back to the Nolan decision where the plaintiff consented to an operation to “build up the ligaments that held the spleen in place.” Nolan v. Kechijian, 75 R.I. 165, 166, 64 A.2d 866, 867 (1949). During the course of the procedure, the doctor removed the plaintiff’s spleen. The court in Nolan held that “generally speaking, unless an immediate operation is urgently and reasonably necessary, a surgeon has no right to perform such operation without the patient’s consent, express or implied.” Nolan, 75 R.I. at 168, 64 A.2d at 867.
a matter of law is appropriate in the case at bar. See Wilkinson, 110 R.I. at 619-621, 295 A.2d at 685-686 (citing Nolan, 75 R. I. 165, 64 A.2d 866). With few exceptions, a “surgeon has no right to perform” an operation without a patient’s consent. Nolan, 75 R.I. at 168, 64 A.2d at 868. If the surgeon fails to obtain such consent and nonetheless performs the procedure, he or she has committed a battery. Id. The Supreme Court in Nolan explained that an “adult patient is entitled” not only to “rely on the representations of a surgeon” but also to “limit his [or her] consent to an operation reasonably appropriate.” Id. As the patient has the “right to be the final judge to do with his [or her] body as he [or she] wills,” consent must be given by the patient and cannot be interpreted by the physician when language is ambiguous. Wilkinson, 110 R.I. at 625, 295 A.2d at 688. Viewing the evidence in a light most favorable to Dr. Barry Shah, this Court must determine whether a reasonable fact finder could determine that plaintiff, Linda Spaight consented to his removal of her ovary and tube. This Court must approach the issue of consent in light of the admonition in Wilkinson that a medical battery action is limited to a procedure that is “completely unauthorized.” 110 R.I. at 621, 295 A.2d at 686. This phrase, while not defined in Wilkinson, has been held in other jurisdictions to mean a procedure that the patient was not aware the physician would perform or treatment that is substantially different from that to which the patient consented. See, e.g., Messina v. Matarasso, 729 N.Y.S.2d 4, 7 (2001); Gray v. Grunnagle, 423 Pa. 144, 156 (1966); Colucci v. Oppenheim, 740 A.2d 1101 (N.J. Super. 1999) (citing Berroyer v. Hertz, 672 F.2d 334, 342 (3rd Cir. 1982)); Lane v. Anderson, 345 Ill. App. 3d 256 (2004); Baltzell v. Van Buskirk, 752 S.W.2d 902, 906 (Mo. Ct. App. 1998); Tonelli v. Khanna, 569 A.2d 282 (N.J. Super. 1990); Samoilov v. Raz, 536 A.2d 275 (N.J. Super. 1987). In an instructive decision of the New Jersey Superior Court in Samoilov v. Raz, the plaintiff signed a consent form that included “possible resection of facial nerve.” 536 A.2d at 276. The patient consented to a resection of the facial nerve only upon a finding of malignancy. During the surgery, the physician believed the mass “constituted a muco-epidermoid tumor,” possibly a malignancy. Id. at 277. The defendant removed the tumor, later determined to be benign, leaving the plaintiff’s face paralyzed. Id. The case was submitted to the jury on the issue of negligence-based informed consent, and the jury found that the defendant did not deviate from the professional standards owed to the plaintiff. Id. The plaintiff appealed on the grounds that the trial judge refused to include in his instructions a charge on battery. Id. As in the case at bar, the plaintiff’s contention in Samoilov was predicated upon the theory that he had never consented to the surgical procedure that the defendant performed and that the question of battery should have been presented to the jury in place of the negligence standard that was charged. Samoilov, 536 A.2d at 277. The plaintiff contended that the “operation that the defendant performed was not the one to which he consented, and that he authorized resection of [his] facial nerve only in the event the tumor was found malignant.” Id. The Court wrestled with the same issue presented here regarding the boundaries of consent. It concluded that a plaintiff does not consent to the performance of an operation that is “substantially different” from the one to which the patient gave consent. Id. at 280-281. It held that there was no justifiable basis to submit the question of battery to the jury, as the possibility of the tumor’s malignancy did not allow the procedure to be considered “substantially different.” The plaintiff, therefore, had given consent. Id. at 281.
which the plaintiff consented. Wilkinson, 110 R.I. 606 at 620; Samoilov, 536 A.2d at 281. This view is consistent with the majority of jurisdictions. See, e.g., Mink v. University of Chicago, 460 F. Supp. 713 at 716 (holding that plaintiffs who were given DES without being told they were taking it did not consent to the procedure, as they had “no clue” that they were part of a double blind study); Dubbs v. Head Start, Inc., 336 F.3d 1194, 1219 (10th Cir. 2003) (finding that where medical treatment is completely unauthorized and performed without consent, it constitutes a battery under Oklahoma law, and that such a claim survives summary judgment where an issue as to consent for an examination exists); Brzoska v. Olson, 668 A.2d 1355, 1366 (Del. 1995) (holding that battery in a medical situation is properly limited to cases where a physician performs a procedure that is substantially different from the one consented to); Thomas v. Hickman, 2006 U.S. Dist. LEXIS 72988, 90-91 (D. Cal. 2006) (denying a motion to dismiss a claim of medical battery where a plaintiff claimed that removal of her ovaries was not discussed prior to surgery, and therefore the surgery performed was substantially different from the one consented to). 11 Query whether failing to recognize removal of an ovary and tube as a potential part of such a procedure was negligent on the part of Dr. Barry Shah. As plaintiffs have not raised such an issue on their own, and no testimony has been given on this point, it is not presently an issue before the Court. See infra for further discussion in motion for new trial analysis. endometriosis, like the consent obtained from the plaintiff in Samoilov, defendant’s actions may not have constituted medical battery. However, by Dr. Barry Shah’s own testimony, even the possibility of removal of plaintiff’s ovary and tube in this case was never contemplated or addressed before the procedure. As such, the removal of plaintiff’s ovary and tube — a procedure that she was not aware Dr. Barry Shah would perform — qualifies as a “substantially different” procedure that was “completely unauthorized.” Although perhaps not as drastic as the classic example of wrong side surgery, the removal of an organ — let alone an ovary and tube — is a far leap from a laparoscopic pelviscopy to diagnose and remove found endometriosis. Dr. Barry Shah confirmed in his testimony that he did not inform plaintiff, Linda Spaight that her left ovary would be removed (referred to as a left salpingo-oopherectomy) along with her left tube or that there was even that possibility because he did not intend, prior to surgery, to remove it.11 He likewise did not inform her that he would be doing major surgery because he did not anticipate that her surgery would be major. Here, both parties concede that there was no express consent by Ms. Spaight to the removal of her left ovary and tube. Plaintiff merely consented to the removal of endometrial tissue, signing a consent form that authorized Dr. Barry Shah to perform an “operative pelviscopy and indicated surgery.” Plaintiff testified that she understood the language of the consent form to mean a laparoscopic pelviscopy to both determine if endometriosis was present, and if it was, to remove any endometriosis found. As she was never informed of any possibility that her ovary would be or even might be removed, she could not consent to such a procedure. Plaintiff’s expert, Dr. Barbieri, testified that a surgeon should have explicit consent to remove an ovary. He further testified that a physician would not remove an ovary and tube during a pelviscopy without explicit consent except in rare situations. Even defendants’ expert, Dr. Young, agreed that Dr. Barry Shah failed to obtain such specific consent. Plaintiff testified that she was not comfortable with drug treatment unless she knew that she had endometriosis. Ms. Spaight testified that she did not want to treat with pills something that she did not know existed, but that if defendant found endometriosis, she would take the suggested medicine. Dr. Barry Shah recommended the laparoscopic procedure to diagnose the endometriosis and to remove endometrial tissue. Ms. Spaight testified that Dr. Barry Shah told her that the most he would do was make 2.5 mm incisions and that if any major surgery were indicated, he would not do it that day. According to plaintiff’s testimony, Dr. Barry Shah characterized the laparoscopic pelviscopy as a minor procedure taking twenty to thirty minutes and informed her that she could return to work in a couple of days. Ms. Spaight testified that Dr. Barry Shah asked her to sign the consent form and that she complied with his request. Plaintiff testified that she and Dr. Barry Shah had no discussion about her ureter or the removal of her ovary or tube and that these organs were not mentioned on the form. Dr. Barry Shah’s own testimony was consistent with Ms. Spaight’s as to the information given her regarding the specific organs in question. Plaintiff further testified that she understood that there was a risk of injury to organs and that she was willing to accept that risk because of the benefit of finding out if she had endometriosis and removing any endometriosis found. Based on her discussions with Dr. Barry Shah, however, she believed those risks were minimal. 12 There is no evidence in the record to suggest that leaving Ms. Spaight’s ovary and tube in place after the removal of found endometriosis would have caused her to continue to suffer abdominal pain. determine the source of her troubles. The facts suggest that the plaintiff in no way expected the possibility that her ovary and tube would be removed and, therefore, did not consent to such a procedure. In fact, plaintiff was reluctant to begin any course of medical or pharmaceutical treatment until the diagnosis of endometriosis could be confirmed. Plaintiff had even raised an issue at the time of signing the consent form as to its provision regarding laboratory analysis of tissue samples. Dr. Barry Shah assured her that even such minor procedures were not contemplated. Plaintiff was not eager to leave her health in the sole hands of her surgeon and was an active participant throughout the process – that is until defendant took it upon his own judgment to remove her ovary and tube without first obtaining her consent. Furthermore, an ambiguous phrase such as “operative pelviscopy and indicated surgery” on a consent form should not be interpreted to allow the physician to substitute his or her own judgment as to the procedure to be performed for the consensus as to such procedure reached by the physician and the patient after consultation. The consensus between physician and patient is the cornerstone of informed consent. See Rubino v. De Fretias, 638 F. Supp. 182, 184 (D. Ariz. 1986) (stating that “[t]he essence of an informed consent question in a battery case is what procedure the patient agreed with the physician to have performed, and whether the ultimate contact by the physician was within the scope of the patient’s consent”) (citations omitted). The court in Pizzalotto found that signing a blanket authorization with a similar clause was “so ambiguous as to be almost completely worthless.” 437 So.2d 859 at 863. Even the court in Nolan cautioned that a doctor is not allowed “free license to operate at will.” 75 R.I. at 168. 13 See, e.g., Bendiburg v. Dempsey, 909 F.2d 463, 468 (11th Cir. 1990); Tinius v. Carroll County Sheriff Dep’t, 321 F. Supp. 2d 1064, 1086-1087 (D. Iowa 2004); Kennedy v. Parrott, 243 N.C. 355, 363, 90 S.E.2d 754, 760 (N.C. 1953); Rogers v. Lumbermens Mutual Casualty Co., 119 So. 2d 649, 650 (La. App. 2nd Cir. 1960). 14 See Samilov, 536 A.2d at 280 (citing Wooley v. Henderson, 418 A.2d 1123, 1133 (Me. Sup. Jud. Ct. 1980)). to consent. Reasonable minds could not differ as to whether Ms. Spaight gave her consent to the removal of her ovary and tube. is “impossible or impracticable to obtain the patient’s consent or the consent of anyone authorized to assume such responsibility); Temple Univ. v. Americhoice of PA, 55 Pa. D. & C. 4th 78, 88 (2001) (defining an “emergency medical condition” as a “medical condition which manifests itself by acute symptoms of sufficient severity” which reasonably could be expected to result in: (1) placing the health of the individual in serious jeopardy; (2) serious impairment to bodily functions; or (3) serious dysfunction of any bodily organ or part). In the case at bar, the defendant does not suggest that it was urgently necessary for him to remove Ms. Spaight’s ovary and tube or that the failure to do so expeditiously could have jeopardized her life or health. While Dr. Barry Shah testified that her ovary was diseased and had endometrial cysts, he never testified that he believed during surgery that the ovary was cancerous or even pre-cancerous. Defendant never suggested that he was concerned that the cysts (or any part of the ovary that might remain after removal of the cysts) could cause a hemorrhage or any other life-threatening or dangerous health condition if they were left in place. As such, the uncontroverted evidence establishes that the medical emergency exception to the doctrine of informed consent is not applicable in this case and cannot be used by Dr. Barry Shah to excuse his failure to obtain consent. The removal of Ms. Spaight’s ovary and tube simply was not pathologically necessary as a matter of law. 15 In Fox, a physician obtained a patient’s consent for laparoscopic surgery to investigate the source of her abdominal pain. 594 So. 2d at 596. He had predicted and indeed found endometrial tissue during her operation. He also found that the patient’s intrauterine device had pulled away from and damaged her cervix. Id. at 602. He removed this device in an effort to relieve the patient’s pain. Id. While acknowledging that such an action may be lawful for a physician as an extension of the theory of implied consent, the Court upheld the jury’s finding that the patient had expressly requested that this device not be removed. Id. at 605. The Court found, therefore, that the physician’s removal of the device was not incidental to the surgery or reasonable under the circumstances. Id. diseased left ovary and tube. Dr. Shah contends that cysts within the ovary left no normal functioning part of the left ovary intact. He argues, therefore, that removal of the ovary and tube was reasonably incidental to the consented-to removal of the endometriosis. broken jaw was implied under the circumstances of the case . . . [t]his is not, of course, to hold that consent to one operation is always to be regarded as implied consent to the performance of another operation, unanticipated by the patient, but which the surgeon, upon discovering unexpected conditions, may deem advisable . . . [e]ach case must be governed by its own facts”). Although the Court is satisfied that Dr. Barry Shah believed that the cysts on Ms. Spaight’s left ovary so consumed the ovary as to make removal of the ovary and tube incidental to removal of the endometriosis, this Court cannot set aside the fact that the “incidental” action included removal of organs to which plaintiff did not consent. To fall within the scope of what is reasonably incidental, the operation must be one of relatively minor significance in relation to the consented-to operation. “At first blush the word “incidental” connotes subordination to a primary purpose, and ordinarily the use of the word is regarded as referring to minor matters . . . .” In re Elimination of Highway-Railroad Crossing, 271 A.D. 266, 276 (N.Y. App. Div. 1946); see also The Robin Goodfellow, 20 F.2d 924, 925 (D. Wash. 1927) (finding that “‘[i]ncidental,’ obviously, means depending upon or appertaining to something else as primary . . . . something necessary, appertaining to, or depending upon another which is termed the principal, something incidental to the main purpose”). The term “incidental” also has been defined as “[b]elonging or appertaining to; following; depending on something more worthy.” Thomas v. Harmon, 1887 N.Y. Misc. LEXIS 8 (N.Y. App. Term 1887). 16 Although the defense suggests that Linda Spaight, though a woman of childbearing age, had no desire to have children, that fact does not change this analysis. An ovary and tube can have importance to a woman both medically and psychologically, regardless of their importance to reproduction. endometriosis, inclusive of any endometrial ovarian cysts. Those acts could be deemed reasonable, as they all were designed to end her abdominal pain. But his actions in going so far as to remove plaintiff’s ovary and tube were beyond a mere extension of the originally contemplated surgery; he performed surgery substantially different from, and far beyond the scope of, the operation to which Ms. Spaight granted consent. Indeed, he performed major surgery after he assured her that the surgery would be minor. He performed this surgery against her will, as she testified that she would not have consented to removal of her ovary and tube, even under the circumstances discovered by Dr. Barry Shah, had he informed her of those circumstances in advance. There is no evidence that he needed to go so far as to remove her ovary and tube to meet the goal of her initial surgery, namely to remove endometriosis and end her abdominal pain. The cases that outline the meaning of an “incidental” operation all suggest that the operation that is incidental is one of minor significance. See In re Elimination of Highway-Railroad Crossing, 271 A.D. at 276; The Robin Goodfellow, 20 F.2d at 925. Clearly, the removal of any organ, let alone the ovary and tube of a woman of childbearing age, is in no way minor, and reaches far beyond a mere incidental effect of such a laparoscopic procedure.16 To find otherwise would be to equate important organs with benign, extraneous and unwanted tissue. Id. It would sanction the performance of surgery substantially different from the procedure to which the patient consented without requiring the surgeon to disclose the risks of such surgery – such as injury to the ureter – in advance. See Mink, 460 F. Supp. At 716. It would allow a physician to remove organs that the patient would not have allowed to be removed even had the physician sought consent. As such, as a matter of law, removal of plaintiff’s ovary and tube was not reasonably incidental to the surgery to which she gave consent. This Court’s interpretation of Nolan, as applied to this case, is supported by the testimony at trial and the policy underpinnings of the law of informed consent. Even the medical experts in this case testified that they would not have removed plaintiff’s ovary and tube absent consent. Dr. Barbieri testified that absent an emergency, a seasoned physician would not remove a patient’s ovary and fallopian tube without obtaining explicit consent. He testified that he would not remove an ovary and tube during a pelviscopy without explicit consent except in rare situations, as when a patient were bleeding to death or when the surgeon found cancer and thought it was best not to subject the patient to a second operation. Here, he believed that such a procedure was not necessary to save her life and there was no indication of cancer. Defendant’s expert, Dr. Young, also testified that he would not remove an ovary from a potential childbearing woman in a non-emergency, non-cancerous situation without her consent. These experts support this Court’s view, therefore, that surgical removal of an ovary and tube is not reasonably incidental to a pelviscopy and, absent an emergency, should not be undertaken without the patient’s consent. To expand the language in Nolan to allow a physician to operate in excess of a patient’s consent in non-emergency situations would eviscerate the law of informed consent. Dr. Barry Shah testified that he removed plaintiff’s ovary because he believed it was a diseased organ. His action in this regard shows that he made that decision for the plaintiff, without informing her of the many risks or complications that could follow. The record reflects the fact that there were multiple options available to the plaintiff before her ovary and tube were removed. As the plaintiff asserts, she could have had the laparoscopic pelviscopy previously discussed without the removal of the ovary and tube to determine if that procedure eliminated her abdominal pain. After all, no expert at trial opined that leaving her ovary and tube intact after removal of the endometriosis would have caused her to suffer continued pain or adversely affected her health. If her symptoms were not completely relieved by the removal of extensive endometriosis, she could have decided at a later date if additional surgery was an acceptable option. She could have taken the medication previously suggested to relieve any residual pain or she could have decided to do nothing at all to address her pain. Even if her physician would have viewed such choices as unwise (and there is no evidence to suggest such a proposition), this was not her physician’s choice to make. The decision was hers to make personally, as the patient, after consultation with her doctor. At the time that battery law developed, “surgery, even a major operation, was generally performed in the home of the patient, who ordinarily was conscious, ‘so that the physician could consult him [or her] in respect to conditions which required or made advisable an extension of the operation.’” Samoilov, 536 A.2d 275 at 279 (quoting Kennedy v. Parrott, 90 S.E.2d 754 at 757-758). With the evolution of medical technology and the increased percentage of patients who use anesthesia, courts have rejected the “doctrine that would impose liability for a battery on physicians whose treatment deviated from that agreed to, however slight the deviation and regardless of the reasonableness of the physician’s conduct.” Id. at 280 (citing Woolley v. Henderson, 418 A.2d 1123, 1133 (Me. Sup. Jud. Ct. 1980)). While this Court must be mindful of the way anesthesia has changed informed consent law and burdened a physician’s ability to obtain a patient’s consent when the unexpected occurs, it must strike a balance that allows a physician appropriate latitude in operating while protecting a patient’s right to self-determination in non-emergency situations. The law must respect the private decision-making right of a patient, while not holding a physician to a standard so unrealistic and unreasonable that it becomes impossible to perform his or her job. This balance was reflected in the Supreme Court’s decision in Nolan which held that a physician only should be held liable for battery when his or her patient did not consent to a procedure and such a procedure did not take place in the context of “pathologically necessary or reasonably incidental” circumstances. For such a reason, the concept of “consent,” “pathologically necessary” procedures and surgery “reasonably incidental” to that to which a patient consented should not be interpreted, as Dr. Barry Shah suggests, to include any procedure the physician deems “reasonably necessary.” If such an interpretation were adopted, then the exception would swallow the rule with respect to consent in cases of medical battery, defeating the very protections offered by the law that require physicians to inform their patients of the contemplated procedure – and its risks — before proceeding. For these reasons, this Court grants the plaintiffs’ Rule 50 motion for judgment as a matter of law as to liability on their informed consent claim that is premised on a theory of battery. As a result of the granting of that motion, a new trial will be required, and is hereby ordered, on the issue of causation and damages. In this new trial, the jury will be asked to determine the appropriate amount of monetary compensation to be awarded plaintiffs as a proximate result of the surgery performed on plaintiff, Linda Spaight without her consent. Damages would include the value of her left ovary and tube that were removed without her consent and any harm such as an alleged perforated ureter, four subsequent surgeries and the pain and suffering associated with those events that plaintiffs can prove were proximately caused by that wrongful removal. See Shepardson v. Consolidated Med. Equip., 714 A.2d 1181, 1184 (R.I. 1998) (holding that damages that are foreseeable are recoverable in a suit for medical malpractice). 17 Although this Court is mindful of the fact that it instructed the jury as to both plaintiffs’ battery-based informed consent claim and their negligence-based informed consent claim, plaintiffs have moved for judgment as a matter of law and a new trial only as to their battery-based claim of informed consent. For this reason, this Decision will evaluate the plaintiffs’ claim for a new trial only with respect to their battery-based claim. Shah on this claim. Plaintiffs also move for a new trial against all defendants on the issue of medical negligence. This Court has awarded judgment as a matter of law in favor of the plaintiffs as to their battery-based informed consent claim against Dr. Barry Shah. In this Court’s view, its ruling in this regard subsumes the plaintiffs’ motion for new trial as to this claim. Alternatively, this Court will assume, arguendo, that plaintiffs are not entitled to judgment as a matter of law under Rule 50, and go on to address the question of whether plaintiffs are nonetheless entitled to a conditional grant of their new trial motion on the issue of battery.17 This Court also will consider whether plaintiffs are entitled to a new trial on the issue of medical negligence as to all defendants. “If a renewed motion for judgment as a matter of law is granted, the court shall also rule on the motion for a new trial, if any, by determining whether it should be granted if the judgment is thereafter vacated or reversed.” R.I. Super. R. Civ. P. 50(c)(1). In so doing, “the court shall specify the grounds for granting or denying the motion for a new trial.” Id. reject’[;] [t]hird, the trial justice must make ‘an individual assessment of the evidence’ and determine whether he or she ‘would have reached a different result from that of the jury.’ If the trial justice agrees with the jury’s verdict, the verdict should be affirmed.” State v. Mondesir, 891 A.2d 856, 862 (R.I. 2006) (citations omitted). If the trial justice does not agree with the jury’s verdict, however, he or she must “determine whether the verdict is against the fair preponderance of the evidence and fails to do substantial justice. If the verdict does meet this standard, the trial justice may grant a new trial.” Id. at n.3 (quoting State v. Banach, 648 A.2d 1363, 1367 (1994)). “However, in cases when the evidence is so balanced that reasonable individuals could differ, the motion should be denied.” Id. In the alternative to granting judgment as a matter of law in favor of plaintiffs on their battery claim against Dr. Barry Shah, there are additional reasons that they should be granted a new trial as to that claim. First, even if this Court were to assume, arguendo, that judgment as a matter of law is not appropriate as to plaintiffs’ claim for battery, it would have to address the weight of the evidence under the law of battery. For all of the reasons stated previously in granting plaintiffs judgment as a matter of law as to battery, the clear preponderance of the evidence suggests that Ms. Spaight did not consent to surgical removal of her ovary and tube and that such removal was neither reasonably incidental to the surgery to which she gave consent nor pathologically necessary. See Decision, supra. respond to the merits of this controversy or to do substantial justice in this case. See Crum v. Horowitz, 896 A.2d 736, 739 (R.I. 2006) (citations omitted). On that basis, plaintiffs would be entitled to a new trial as to their claim of medical battery against Dr. Barry Shah should it be determined that they are not entitled to judgment as a matter of law as to that claim. Additionally, plaintiffs should be entitled to a conditional grant of a new trial on their battery claim because the jury undoubtedly was confused by the way plaintiffs positioned their informed consent claims at trial, with no objection from the defendant. Rather than confining the trial to the issue of battery, plaintiffs coupled their battery-based informed consent claim, dependent on proof of lack of consent, with the more traditional informed consent claim of failure to disclose the risk of injury to the ureter. Launching this two-pronged informed consent attack in and of itself created confusion, as plaintiffs spent much of the trial arguing the illogical proposition that Dr. Barry Shah failed to disclose to Ms. Spaight the risks of a surgical procedure that neither of them contemplated and to which she did not consent. implied consent can be married with an alternative negligence-based informed consent claim for failure to disclose risks of a procedure that was not contemplated by the parties. If a patient impliedly consents to an operation that was not contemplated, either because it was reasonably incidental to the surgery to which the patient consented or it was performed out of pathological necessity, it necessarily follows that the physician cannot be required to disclose material risks of the surgery that was not envisioned and that the physician’s failure to disclose such risks cannot be the basis for a separate negligence-based informed consent claim. Viewed in this light, this Court may well have erred in allowing the jury to consider both plaintiffs’ battery-based and negligence-based informed consent claims, even in the absence of an objection by the parties. Given the state of the evidence at trial and the confusing nature of this two-pronged attack, this Court is of the view that it should have dismissed plaintiffs’ negligence-based informed consent claim sua sponte and instructed the jury exclusively on the law of battery. the two claims but keeping them under the same informed consent umbrella (even though the elements of proof as to each claim were different), this Court’s charge and verdict form, though not challenged by the parties on those grounds, may well have been misleading and confusing to the jury. This error was compounded because it was never made clear to the Court or the jury — in argument, requests for charge, the Court’s instructions or in post-trial memoranda – as it is clear to the Court now, that the jury could reach plaintiffs’ negligence-based informed consent claim only if it first found that she consented, before the surgery, to removal of her ovary and tube. Additionally, defendant made an impassioned argument repeatedly throughout the trial, during the examination of witnesses as well as in his closing statement, that had Dr. Barry Shah not removed plaintiffs’ ovary and tube, he would have been sued any way; when Ms. Spaight still had a diseased ovary and abdominal pain following the surgery, she would have sued him for not removing the ovary during the first surgery. This argument, though not objected to, was wholly improper. It was speculative, as there was no evidence that Ms. Spaight would have continued to experience pain had her ovary been left intact, and it improperly portrayed her as a wrongfully litigious litigant. It misled the jury on the issue of consent by suggesting that issue turned on the reasonableness of the defendant’s choice to remove the ovary for her rather than on what plaintiff wanted done with her body. 18 As a result of its decision as to plaintiffs’ motion for judgment as a matter of law and, alternatively, a new trial on the issue of battery, as well as plaintiffs’ failure to contest the jury’s verdict as to their negligence-based informed consent claim, this Court need not reach Dr. Barry Shah’s motion for judgment as a matter of law as to informed consent. Plaintiffs also claim that this Court should grant them a new trial against all defendants for medical negligence. “[T]o sustain a cause of action for negligence, plaintiff is required to establish a standard of care as well as deviation from that standard.” Bogosian v. Mercedez-Benz of N. America, Inc., 104 F.3d 472, 475 (1st Cir. 1996). To establish both the standard of care and a defendant’s deviation, plaintiffs must produce evidence in the form of expert testimony. Dunning v. Kerzner, 910 F.2d 1009, 1014 (1st Cir. 1990). 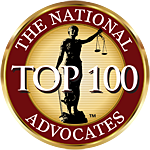 In general, Rhode Island law holds a physician to the standard of care of a reasonably competent physician in a similar class and under like circumstances. Sheeley v. Memorial Hospital, 710 A.2d 161, 167 (R.I. 1998). Each physician’s actions must be evaluated in the light of all of the facts and circumstances with which he or she was confronted at the time and not in consideration of what hindsight has revealed as the proper course of action. See Wilkinson v. Vesey, 110 R.I. at 613,295 A.2d at 682.
plaintiffs seek a new trial to hold defendant, Women and Infants Hospital liable for Dr. Botte’s alleged negligence because it was her employer at the time in question. Plaintiffs’ expert, Dr. Barbieri, stated that Dr. Reza Shah-Hosseini, if he were acting as the assisting surgeon that day, would be held to the same standard of care as Dr. Barry Shah. Dr. Reza Shah-Hosseini billed as an assistant physician for this procedure, but the testimonies of all physicians present that day suggested that he left the operating room sometime in the early stages of the procedure, before the removal of Ms. Spaight’s ovary and tube. On cross-examination, Dr. Barbieri agreed that it was a common and correct practice for a physician scheduled to assist in a surgery to charge for that time, as it was time he had to schedule away from his office. Dr. Barbieri further agreed that the physician scheduled to assist would not be required to stay throughout the procedure if a resident were present. Here, the evidence suggests that Dr. Botte, a resident physician at Women and Infants Hospital of Rhode Island, was available and present. The weight of the evidence indicates, therefore, that Dr. Reza Shah-Hosseini’s role in the procedure was quite minor and ended before any of the actions alleged to constitute medical negligence occurred. Reasonable jurors thus could have determined that plaintiffs failed to establish that Dr. Reza Shah-Hosseini assumed or should have assumed a role as an assisting physician in this procedure during the time of the ovary and tube removal, and thus failed to prove their negligence claims against him. This Court thus denies plaintiffs’ motion for new trial with respect to Dr. Reza Shah-Hosseini. from the testimony of Dr. Botte and Dr. Barry Shah that Dr. Botte rightfully declined to take technical control over the procedure to remove the ovary, as Ms. Spaight’s anatomy proved too complicated for the inexperienced surgeon to navigate. Thus, the only possible responsibility Dr. Botte had was with respect to the “cognitive element” of the surgery. Dr. Barbieri stated that the surgery should have been a team effort and that Dr. Botte was responsible for discussing with Dr. Barry Shah the possibilities for identifying and segregating the ureter. While Dr. Barbieri would not agree with defense counsel that Dr. Botte was free from any liability with respect to medical negligence, he was unable to state precisely what she had done to deviate from the standard of care. See Bogosian, 104 F.3d at 475. Moreover, Dr. Botte gave convincing testimony about the difficulties Dr. Barry Shah encountered in identifying the ovary and the care he took in excising it under difficult operative conditions. As such, reasonable jurors could have rejected Dr. Barbieri’s opinion testimony that attempted to suggest, albeit in ill-defined terms, that Dr. Bottte deviated from the standard of care. They could have accepted Dr. Botte’s testimony that she thought through the steps for identifying and segregating the ureter and that she offered her assistance to Dr. Barry Shah as required by the vague standard of care for a medical “co-pilot.” This Court finds, therefore, that reasonable jurors could have found that plaintiffs failed to meet their burden of proof with respect to their claim of medical negligence against Dr. Botte and, by extension, their claim against Women and Infants Hospital of Rhode Island as Dr. Botte’s employer. Accordingly, plaintiffs’ motion for new trial with respect to Dr. Botte and Women and Infants Hospital of Rhode Island is denied. Plaintiffs’ claim with respect to Dr. Barry Shah presents the Court with a much more complicated question. Upon reviewing the evidence anew as a “super-juror,” Wellborn v. Spurwink/Rhode Island et al., 873 A.2d 884, 887 (R.I. 2005), this Court is inclined to categorize Dr. Barry Shah’s actions in three substantial steps, each requiring a separate standard of care. During the laparoscopy, Dr. Barry Shah identified severe endometrial adhesions and cysts involving Ms. Spaight’s left ovary and fallopian tube. All parties agree that when a physician is faced with severe endometriosis, he or she must be aware that the disease often can cause the ovarian vein and artery to come in close proximity to the left ureter. Dr. Barbieri testified that these organs may be so close that they are literally living intimately with each other. The parties agree that under these conditions, a prudent physician will take steps to identify the ureter so that he or she may avoid it in the course of cutting or cauterizing the ligaments surrounding the ovary to remove the diseased tissue. The first substantial step taken by Dr. Barry Shah, therefore, was to attempt to identify the ureter before he determined the best course of action for removing the endometriosis. On the question of whether Dr. Barry Shah performed this step in compliance with the standard of care, the Court finds that reasonable minds could differ. peritoneum. Dissecting the peritoneum, which was described as consisting of two thin layers of tissue, would cause the ureter to move away from the infundibular pelvic ligament. Dr. Barbieri testified that the medical records showed no indication that Dr. Barry Shah performed these steps or successfully located the ureter. Defendants did not dispute Dr. Barbieri’s conclusion that they never saw the ureter. Dr. Botte testified that she had looked for the ureter but could not see it and knew only where it was supposed to be. Dr. Barry Shah testified that he identified the ureter, but did not see it. He further testified that throughout the procedure he took care not to cause injury to the neighboring ureter, wherever it was. Although it is undisputed that Dr. Barry Shah never precisely located the ureter, both he and Dr. Botte contend that they took all possible steps to identify it in compliance with the standard of care. Dr. Botte testified that she and Dr. Barry Shah attempted to visualize the ureter directly using the laparoscope, and when visualization proved unsuccessful, they attempted to go to the pelvic rim to see the ureter but could not due to extensive scarring and adhesions in the bowel. Dr. Barry Shah corroborated this testimony, stating that they took steps to visualize the ureter and approach the pelvic rim, but their efforts were frustrated due to adhesions. Additionally, Dr. Botte and Dr. Barry Shah testified that they never attempted the third step, which was to dissect the peritoneum. Both physicians agreed that dissecting the peritoneum where the tissue is thickened and adhered due to disease poses too much risk of cutting a major blood vessel, or the ureter itself, which lies on the other side. risked damage to other organs if they had opted to take this step. Dr. Young testified that defendants met the standard of care in the steps they took to identify the ureter. He stated that, under the circumstances, locating the ureter was impossible. In reviewing this evidence, this Court finds that reasonable jurors could have concluded that Dr. Barry Shah met the standard of care with respect to identifying the ureter. Although it is quite clear that Dr. Barry Shah failed to pinpoint the organ’s location and abandoned the steps necessary to find it, a reasonable person could have concluded from the evidence presented that all reasonable steps were taken. Reasonable jurors could have accepted the testimonies of Dr. Botte and Dr. Barry Shah, stating that they took the first two steps established by Dr. Barbieri to identify the ureter, notwithstanding the absence of documentation that they did so in the medical record, and that they reasonably determined that the third step, dissecting the peritoneum, was too dangerous under the conditions presented. All testifying physicians, including the plaintiffs’ expert, agreed that dissection of the peritoneum could cause serious injury in the situation presented. This Court must conclude, therefore, that reasonable minds could differ as to whether the deviation was one a reasonably competent physician would make under the circumstances. See Boccasile v. Cajun Music Ltd., 694 A.2d 686, 689 (R.I. 1997) (stating that the plaintiff must show that the defendant physician’s deviation from the standard of care was negligent, rather than a legitimate alternative). Attempting to identify the ureter was the first of three substantial steps taken by Dr. Barry Shah in the course of the laparoscopic procedure. Once it is determined that identification of the ureter is impossible under the circumstances, the physician must make a decision about whether, and to what extent, to proceed with the removal of endometrial tissue involving the ovary. With respect to this step, this Court finds that Dr. Barbieri failed to set out a clear standard of care. Dr.
19 Dr. Barbieri stated that during the removal of cysts, an electrocautery device may be used to control bleeding. Here, it was noted that the cyst in Ms. Spaight’s left ovary was draining blood. It is likely that in this case, had Dr. Barry Shah chosen merely to remove the cyst, he would have had to use the very same instrument that caused latent perforation of Ms. Spaight’s ureter. Although Dr. Barbieri conceded that a tripolar electrocautery device may have been used in the procedure to remove endometriosis even if Dr. Barry Shah had decided not to completely remove the ovary, he stated that such use would be less likely to cause heat injury to the ureter. In his expert opinion, using the electrocautery device so near to the pelvic sidewall in severing the infundibular pelvic ligament increased the risk of heat injury to the ureter. He opined that using the same device to remove only the cyst would have presented a lower risk of injury to the ureter, as the bulk of the ovary would have modulated the transfer of heat. Barbieri testified that when the ureter cannot be identified, the safest alternative is to end the surgery altogether and schedule a second, non-laparoscopic surgery to remove the endometriosis. However, Dr. Barbieri went on to suggest that this was not the only option. He proffered that, alternatively, a physician might try to take out the endometrial cyst rather than the entire ovary. He agreed that this process may have implicated the use of the same electrocautery device that Dr. Barry Shah used to sever the infundibular pelvic ligament and which may have, during that severance, led to the injury in this case.19 Therefore, one of the presented alternatives within the standard of care would have posed a similar, albeit lessened, risk to the imprecisely located ureter. The options set forth by Dr. Barbieri do not establish an absolute, objective standard with which a physician must comply nor do they impose a clear subjective standard. See Voinovich v. Women’s Med. Prof’l Corp., 523 U.S. 1036, 1038 (1998). In fact, Dr. Barbieri agreed on cross-examination that the decision of how to proceed was within the medical judgment of the physician who had spoken with the patient and who was in the operating room, viewing the complex cysts within the patient’s ovary. The evidence could suggest, therefore, that the decision of how to proceed was within the discretion of the treating physician and that there were a number of choices a reasonable physician might make—including the decision (assuming consent) to remove the ovary altogether. 20 There was a legitimate dispute over whether the ovary was diseased to the extent that Dr. Barry Shah indicated. Dr. Barbieri stated that the ovary contained three cysts, the largest measuring 1.5 cm, and one containing endometriotic tissue. Under those conditions, it would not have been necessary to remove the entire ovary. However, this evaluation was made with the retrospective aid of a pathological report. All parties agree that in the process of producing the pathological report, the cysts are drained, and the ovary can be more precisely examined than when it is still within the patient’s body. The parties further agree that Dr. Barry Shah could not have had the benefit of this report at the time of surgery and that he viewed the complex cyst within the otherwise distorted anatomy. Dr. Barbieri offered no testimony to rebut Dr. Barry Shah’s testimony as to how the ovary appeared to him at the time. Because the issue of medical negligence presents a question entirely separate from the issue of informed consent, this Court has engaged in this discussion assuming, arguendo, that the acting physician had the consent of the patient to conduct the various procedures. The question presented in this section of the Decision is not whether Dr. Barry Shah had Ms. Spaight’s consent, but rather, if he had, would his conduct have complied with the standard of care. Dr. Botte testified that, ultimately, the question was one of judgment: if the patient was not in pain and the ovary not diseased, Dr. Barry Shah would not have risked injury to the ureter. If the physician determined instead that the ovary needed to be removed and that finding the ureter could cause damage to other significant structures, she said that there are physicians who would decide to proceed. In this case, Dr. Barry Shah had determined that the ovary was wholly involved with a complex cyst and that he should remove the ovary to get rid of the disease process.20 Although Dr. Barry Shah’s determination was not uncontroverted, plaintiffs have not set forth a standard that would prohibit a reasonable physician from making this determination, assuming consent. This Court finds, therefore, that reasonable jurors could have found that Dr. Barry Shah’s decision to remove the ovary, although perhaps risky and unwise in hindsight, was not negligent. A: Yes, I agree with that.” (Unoff’l Tr. At 34-35). 22 The Advisory Committee Notes to R.I. R. Evid. 803(18), recognizing that “[t]here is a lack of Rhode Island law on this subject,” provide little guidance as to the use of learned treatises in this form. The notes state that use of a learned treatise as “substantive evidence” is limited to “situations in which an expert is on the stand and available to explain and assist in the application of the treatise if desired.” R.I. R. Evid. 803(18) Advisory Committee Note. Taking this instruction in its broadest sense, this Court finds that Dr. Barbieri was on the stand and available to assist. The plain language of the treatise clearly sets out a standard of care to which Dr. Barbieri agrees, but it remains unclear whether Dr. Barbieri “relied” on this treatise as required in the language of the rule itself. Beyond his agreement with the read portion of this treatise, Dr. Barbieri never articulated a standard of care with respect to using the instrument. Although his testimony did not clearly rely on the treatise to establish the standard of care, other states that have adopted the same rule have read it to require that the treatise be used “. . . in conjunction with expert testimony.” See, e.g., Cornelius v. Wilkinson, 2006 U.S. Dist. LEXIS 58207, *14 (D. Ohio 2006); United States v. Vital Health Prods., 786 F. Supp. 761, 771 (D. Wis. 1992). Although the form of questioning used here raises an issue as to the admissibility of the treatise, it does meet the lenient standard of having been used “in conjunction with” expert testimony. Under the Rhode Island Rules of Evidence, a learned treatise may be read into evidence “[t]o the extent called to the attention of an expert witness on cross-examination or relied upon by the witness in direct examination. . . .” R.I. R. Evid. 803(18). Here, the treatise was read on direct examination, but it was not clear from Dr. Barbieri’s testimony that he was relying on it for his opinion testimony or that he viewed the text as establishing the standard of care.22 Apart from the text, he never opined that the standard of care required the operating physician to know the breadth of the zone of thermal injury when operating an electrocautery device, and he never indicated that such a standard of care applied to Dr. Barry Shah under the circumstances of this case. Assuming, without deciding, that the treatise passage used in this manner can be considered as establishing the standard of care, this Court finds that reasonable jurors could have concluded that plaintiffs still failed to meet their burden. To sustain a claim for negligence, a plaintiff must establish not only the standard of care, but also the treating physician’s deviation from that standard. Bogosian, 104 F.3d at 475. Even allowing this treatise to stand as a statement of the standard of care adopted by Dr. Barbieri, Dr. Barbieri never opined that Dr. Barry Shah deviated from this standard of care in his use of the tripolar electrocautery device. There was no direct evidence of the size of the zone of thermal injury for the device used by Dr. Barry Shah or that Dr. Barry Shah was either unaware of the zone of thermal injury for the device he employed or that he was clearly within that zone of injury. While reasonable jurors certainly could have inferred from the fact that thermal injury did occur to the ureter that Dr. Barry Shah operated the device within the zone of injury, and thus violated the standard of care, he testified that he pulled the ovary at least one inch and perhaps as far as three inches away from the pelvic sidewall before cauterizing the infundibular pelvic ligament. In the absence of expert testimony that he deviated from the standard of care, and the absence of evidence as to the size of the zone of injury and Dr. Barry Shah’s awareness of that zone, reasonable jurors could have concluded that plaintiffs failed to prove negligence in the use of the device. They could have accepted Dr. Barry Shah’s testimony that he took reasonable care in creating what he believed to be sufficient distance between the zone of heat and the ureter which laid (somewhere) beyond the pelvic sidewall. Court responded that no evidence had been presented to that effect. The jury’s inquiry suggests that they grappled appropriately with the issue of whether Dr. Barry Shah had met the standard of care with respect to his use of the electrocautery device. The lack of evidence to aid the jury in resolving this quandary suggests that reasonable jurors could have found that plaintiffs failed to prove negligence as to this point. After all, Dr. Young testified that Dr. Barry Shah’s attempt to pull the ovary away from the sidewall met the standard of care in this difficult situation and that it was reasonable to use the electrocautery device with these precautions even when the ureter was not precisely located. It is not the prerogative of this Court to fill these evidentiary gaps. Considering only the evidence presented, and regardless of whether this Court may have concluded otherwise, reasonable minds could have concluded that Dr. Barry Shah met the standard of care, or at least that plaintiffs failed to prove otherwise, and that Ms. Spaight’s injury was an unfortunate, rare, and unforeseeable complication of surgery. Dr. Barry Shah made three substantial decisions in this case: what steps he would take to locate Ms. Spaight’s left ureter, how he would proceed once the ureter was unidentifiable and the ovary was determined to be diseased, and how he would operate the electrocautery device once he had decided to perform the salpingo-oophorectomy. For the reasons stated above, the Court finds that reasonable minds could differ with respect to the first issue and that reasonable jurors could conclude that plaintiffs failed to meet their burden of establishing both a standard of care and deviation from the standard with respect to the remaining issues. 23 Ms. Franco, having grown ill after the surgery, sought medical attention from a different physician, who informed her that she would have to undergo major reconstructive surgery to her biliary system as a result of Dr. Latina’s mistake. Latina, 916 A.2d at 1255. At the initial trial, the jury returned a verdict for the defendant, but this Court granted plaintiff’s motion for new trial. Id. at 1256. At the second trial, the jury again returned a verdict for the defendant, and this Court granted plaintiff’s motion for judgment as a matter of law, on which it had previously reserved decision. Id. at 1257. 24 There was an issue on appeal as to whether the trial justice had properly stricken the opinion testimony of defendant’s expert who had testified that the standard of care required clear identification of the cystic and common bile ducts prior to any cutting, but had stated that in his opinion, Dr. Latina had not been negligent. The Supreme Court upheld the trial justice’s decision to strike the “powerful and . . . misleading” opinion, as it bore no connection to the expert’s statement of the standard of care. Latina, 916 A.2d. at 1259, 1261.
trial, as the cases have remarkable parallels as to the perils of laparoscopic surgery. This Court finds, however, that the two cases also may be distinguished such that Latina does not require this Court to grant plaintiffs a new trial as to their claims of medical negligence in this case. In Latina, the defendant physician performed laparoscopic surgery to remove the plaintiff’s infected gallbladder. Id. at 1253. During the procedure, Dr. Latina mistakenly cut Ms. Franco’s common bile duct, having misidentified it as the cystic bile duct. Id. at 1255-1256.23 Judgment as a matter of law was granted in that case because the uncontested standard of care24 required “conclusive and unmistakable identification in fact of the cystic duct before cutting,” id. at 1262, and Dr. Latina candidly admitted that he had made no such conclusive identification. Id. at 1257. 25 Furthermore, the Court in Latina left open the possibility that a “hostile environment”—one where “the patient’s body impeded the surgeon’s ability to see, navigate, and separate the anatomy of the patient, such as when the area in which the operation is being done is overrun with cancer or scar tissue”—may require a different standard of care with respect to identifying the structures. Latina, 916 A.2d at 1263, 1263 n.12. In Latina, it was uncontroverted that no such hostile environment existed. Id. at 1263. This case presented quite the opposite: all parties agree that a hostile environment did exist; that Dr. Shah faced considerable complications due to the scarring and adhesions in Ms. Spaight’s pelvic structures; and that this may have changed the options available to Dr. Shah with respect to identifying the ureter. 26 In considering analogous cases involving injury to the ureter, it appears that there is a greater likelihood of proving negligence on the part of the physician if the ureter was cut, as opposed to sutured or ligated. See, e.g., Jackson v. Univ. Hospital, 809 So. 2d 1145 (2002); Pry v. Jones, 253 Ark. 234 (1972); (both cases find a physician negligent for severing the ureter during an oopherectomy or hysterectomy); but see Koch v. Gorilla, 552 F.2d 1170 (1977); Williams v. Ricks, 152 Ga. App. 555 (1979) (both cases upholding a verdict for the defendant physician where the ureter was sutured during oopherectomy or hysterectomy). These cases suggest that the less contact the operating physician had with the structure injured, the less likely it is that the plaintiff can prove conclusively that the injury was caused by negligence. Although the Court hesitates to apply such a broad generalization to the question of negligence in this case, it must note that the instant case arguably presented a more complex surgical situation. stated that it was within the physician’s judgment to proceed under the circumstances.25 Without an absolute, objective standard of care, or an uncontradicted violation of that standard, this Court must leave the question of Dr. Barry Shah’s negligence as an issue of fact for determination by the jury. See id. at 1262. 27 As a result of its decision to deny plaintiffs’ new trial motion on the issue of defendants’ negligence, this Court need not reach the balance of defendants’ Rule 50 motions that argue for entry of judgment as a matter of law as to plaintiffs’ claims against defendants for medical negligence on grounds of causation and after-acquired knowledge. The issue of causation connected with plaintiffs’ battery claim against Dr. Barry Shah remains for trial, as it was not the subject of that dispositive motion and as there is sufficient evidence in the record to allow a jury to decide the question of what harms resulted to plaintiffs as a proximate result of Dr. Barry Shah’s removal of Ms. Spaight’s ovary and tube without her consent. For the reasons stated above, this Court grants plaintiffs’ motion for judgment as a matter of law as to their claim of battery, and, in the alternative, grants plaintiffs’ conditional motion for a new trial as to that claim. The Court denies plaintiffs’ motion for new trial on their claim of medical negligence as to all defendants. In light of its analysis and decisions on these motions, it is not necessary for the Court to reach the defendants’ motion for judgment as a matter of law as to plaintiffs’ informed consent and negligence claims. Counsel shall confer and submit to this Court forthwith for entry an agreed upon form of order and judgment this is consistent with this Decision. You really make it appear so easy with your presentation however I to find this topic to be actually one thing which I believe I might never understand. It kind of feels too complicated and extremely broad for me. I am having a look ahead to your subsequent submit, I will try to get the grasp of it! Thanks , I’ve recently been searching for info about this topic for ages and yours is the best I’ve came upon till now. However, what in regards to the conclusion? Are you sure about the source? Terrific Article. Thank you very much for this Accident Website. Thanks for some other fantastic article. The place else could anybody get that kind of info in such a perfect approach of writing? I have a presentation next week, and I am at the search for such information. I do not even know how I finished up right here, however I believed this publish was great. I don’t realize who you might be but certainly you’re going to a well-known blogger in case you aren’t already. Cheers! I have learn a few excellent stuff here. Certainly price bookmarking for revisiting. I surprise how much effort you place to create the sort of wonderful informative website. Generally I do not learn post on blogs, but I wish to say that this write-up very forced me to try and do it! Your writing taste has been amazed me. Thank you, quite great article. 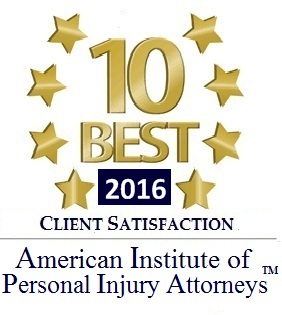 Fantastic points concerning personal injury law, you won a brand new reader. Fantastic points, you gained a new reader. Very nice post. I stumbled upon your weblog and enjoyed browsing your blog posts. I will be subscribing to your feed and I hope you write more very soon! Magnificent website. Lots of helpful info here. I’m sending it to several friends ans additionally sharing in delicious. And obviously, thanks to your effort! Informed cneonst is tricky even with the so-called educated public in developed nations. But in addition to informed cneonst, participants in trials are almost always paid in cash. The question is that was there other remunerations provided to the tribes other than promises of future medicine and benefits. The latter is extremely open ended – you may have to wait years for the researchers to make substantial findings. One thing I want to say is that before buying more computer memory, take a look at the machine in which it would be installed. Should the machine is running Windows XP, for instance, the actual memory ceiling is 3.25GB. Adding a lot more than this would merely constitute a new waste. best reseller hosting one’s motherboard can handle this upgrade quantity, as well. Thanks for your blog post. This website is basically fascinating i’m probing for is there any other examples? however anyway thank you much as a result of I found that i was searching for. Thank you, I’ve recently been looking for info approximately this subject for a while and yours is the best I’ve found out so far. However, what about the conclusion? Are you certain concerning the source?|What i do not realize is in truth how you are now not really a lot more smartly-favored than you may be right now. You’re so intelligent.